A business advisory and accountancy group is quadrupling its footprint in Birmingham and opening a new service centre to meet increased demand from small firms. Baldwins, which is headquartered in Walsall, launched an insolvency and restructuring office in the Jewellery Quarter in summer 2017 since when it has generated more than £1 million in fee income. It has now signed a ten-year lease on a 4,700 sq ft office at Bank House, in Cherry Street. The office will accommodate around 40 members of staff and include business advisers specialising in services including corporate finance, tax and forensic accountancy to working alongside its established insolvency and restructuring team. Baldwins was founded in Walsall since when it has expanded through a series of acquisitions to now have 84 offices. Director Richard Tonks, who leads the Birmingham office, said: "The new office is a significant part of Baldwins&apos; growth plans for the West Midlands as it will act as a hub that provides reactive specialist support to our other offices in the region that are servicing SMEs. "It&apos;s been a fantastic journey for the insolvency and restructuring team over the past 18 months and this is just the start. "By moving our specialist services into Birmingham&apos;s prestigious business district, it will help to reinforce Baldwins&apos; growing presence to the intermediary market." Praveen Gupta, national head of tax for Baldwins, added: "This is going to be one of the firm&apos;s busiest offices for growth as it will tailor its activity to client needs. "Currently, our corporate finance department is seeing a rise in mergers and acquisitions while the tax team is inundated with requests to ensure businesses are compliant with reporting their tax digitally by April 2019." 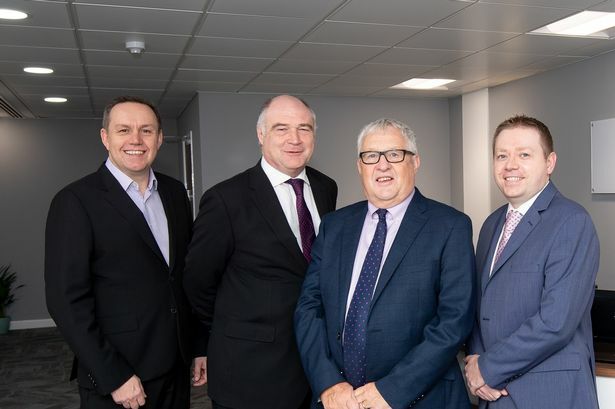 Regional director Ian Gould said: "The new Birmingham office is a culmination of our strategic acquisition plans over the past couple of years which have seen the firm join forces with other accountancy practices that offer specialist services to a thriving client base."